At Jackson and Albany in East Garfield Park is Our Lady of Sorrows, one of three basilicas in the city. Like many churches and places of worship, the real effort in design and implementation went toward the inside rather than the outside of the structure. 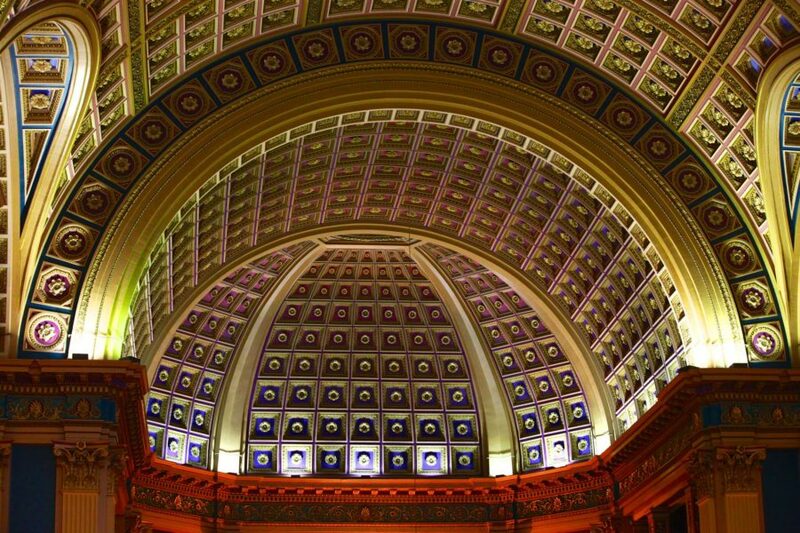 The interior has one of the most spectacular displays of color, geometry, depth, and detail I’ve seen in a building. 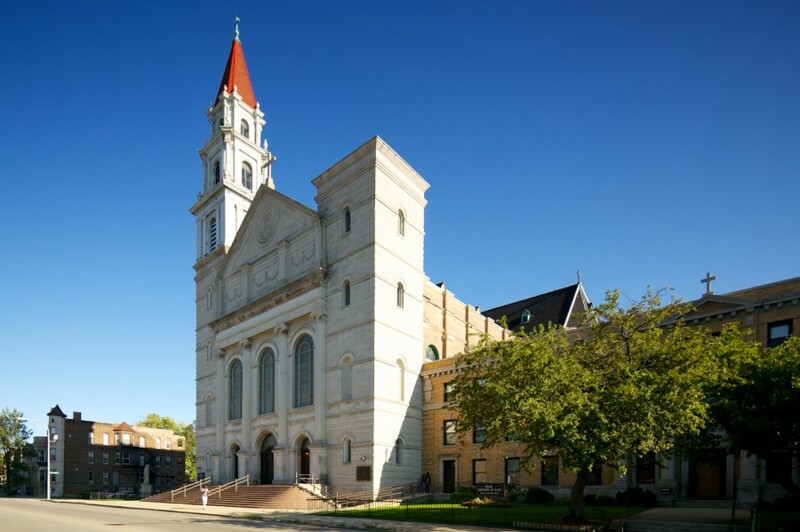 Our Lady of Sorrows Basilica began in 1874 as a parish in a small building on a former farm plot on the West Side. 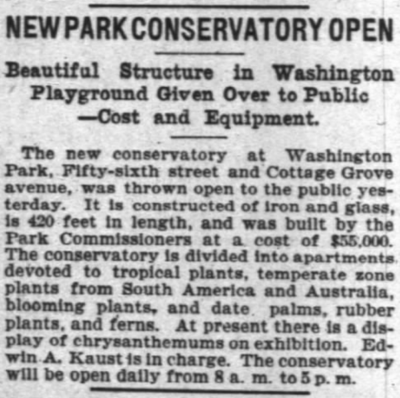 The congregation quickly outgrew the initial two story brick building (which stands today near current church), and ground was broken for a new building in 1890. The dedication of the new church of Our Lady of Sorrows, West Jackson boulevard and Albany avenue, this morning is expected to be the occasion of the greatest gathering of dignitaries of the Roman Catholic Church ever held in Chicago. The basilica was designed by Engelbert, Pope & Brinkman, and is in the Italian Renaissance style which typically features modest ornamentation and simple shapes. A building featuring a subdued exterior and exuberant interior is common in many other styles of ecclesiastical architecture, but Our Lady of Sorrows demonstrates this in grand fashion. The front face of the building is typical of the style: small window openings with semi-circular arches, rusticated block, Greek columns, classical embellishments, with flat and simple surface shapes. 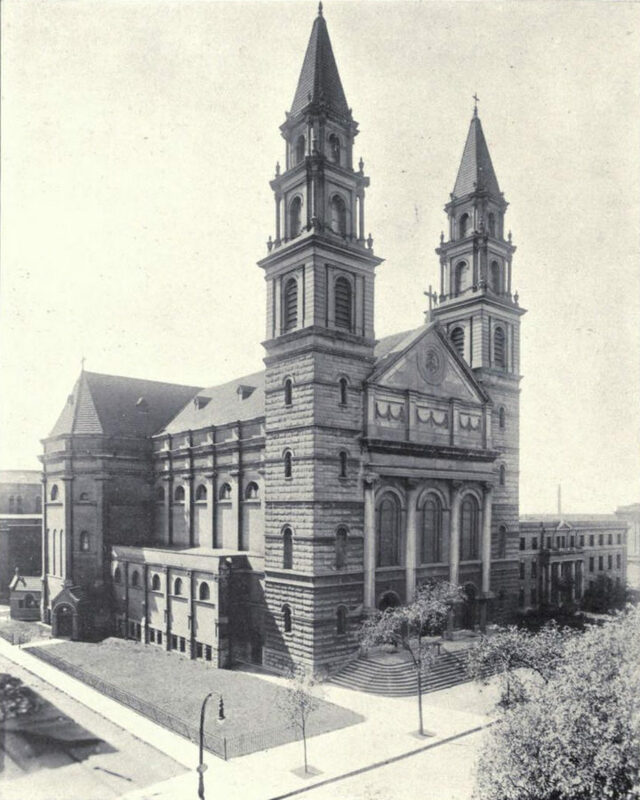 As the circa-1916 photo above shows, this church once had twin spires, one above each tower. One was lost in a 1984 fire, and some publications and historical records attribute the loss to a lightning strike. When the community was mostly white, masses were heavily attended and worshipers frequently had to wait in lines to get in. As the neighborhood changed, the parish dwindled to less than 300 families and the church began to fall into disrepair. The fire in the west tower–which Father Falco thinks was caused by a smoldering cigarette, though fire officials have never determined the exact cause–struck a financial and emotional blow from which the church is still struggling to recover. The smell of smoke hung in the transept for months, and the missing spire and burnt-out tower symbolized the travails of the entire neighborhood. The cost to rebuild the tower and spire was well over $1 million, a cost hard to justify for a church struggling to keep up with maintenance. Although a spire was lost, the insurance settlement allowed for an interior renovation that brought back its original splendor. 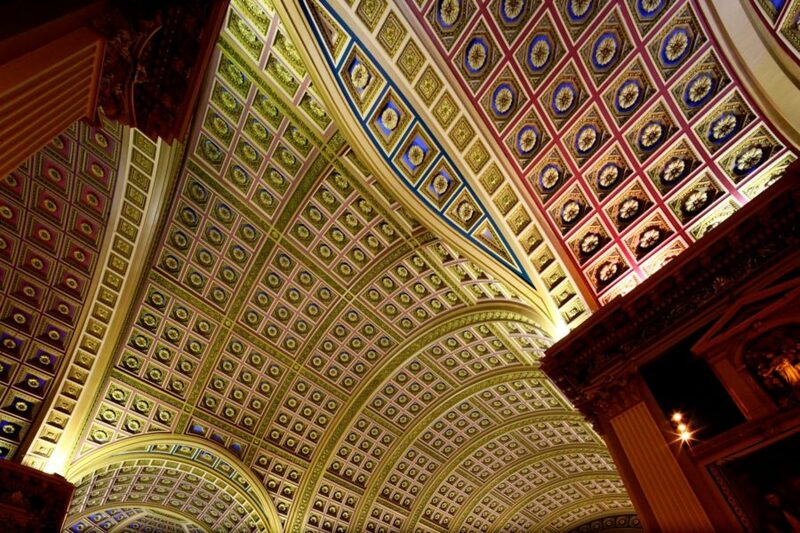 What is perhaps the most impressive aspect of this basilica is the ceiling and use of natural lighting. 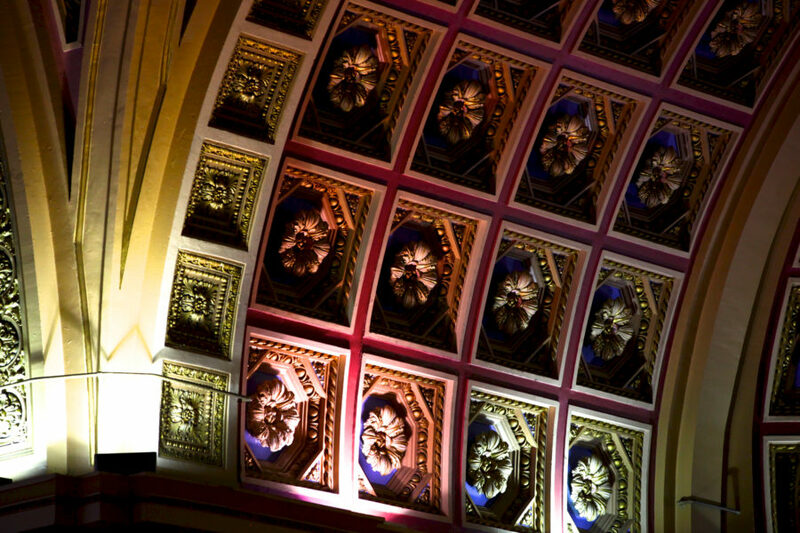 Each section of the coffered vaulted ceiling is a unique sculpture in its own right, with rich detail despite never being viewed up close. 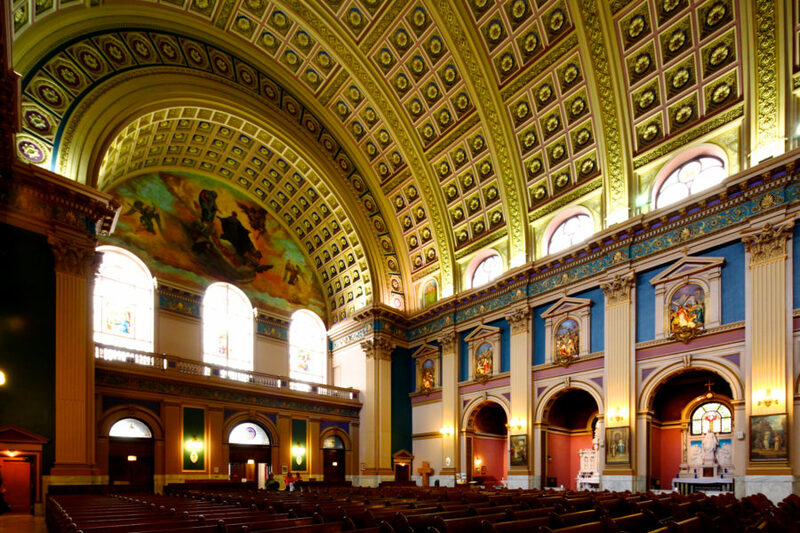 The interior of Our Lady of Sorrows bears a resemblance to many other Renaissance-styled structures, including St. Peter’s Basilica at the Vatican, and the background featured in the fresco Sixtus IV Appointing Platina as Prefect of the Vatican Library. 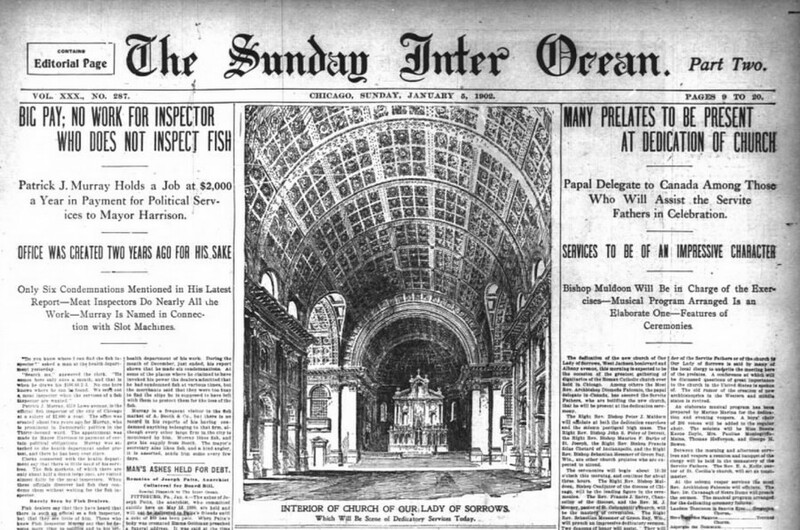 In 1956, Pope Pius XII granted Our Lady of Sorrows the designation of basilica, a title reserved for large and architecturally important churches. 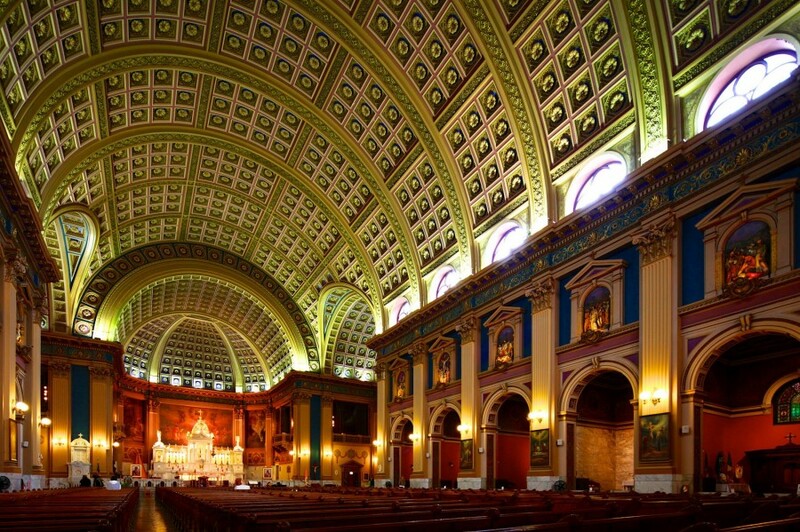 A lesser known fact about the West Side Basilica is the role it played in the 1987 Oscar-winning movie, The Untouchables. 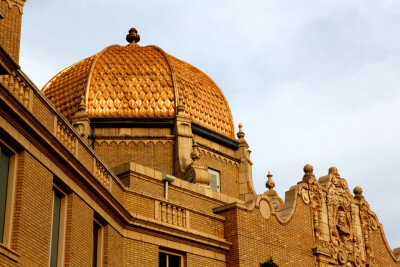 It served as the backdrop during a conversation between Kevin Costner and Sean Connery. That scene would also be shown very briefly as Sean Connery was nominated for and won the Oscar for Best Supporting Actor. I visited Our Lady of Sorrows during last year’s Open House Chicago event, and was one of the most memorable visits during that weekend event. 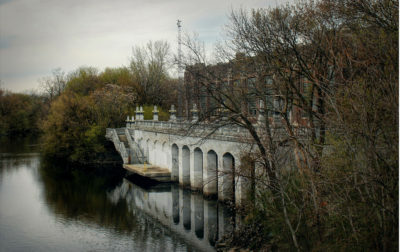 It is again a site on the Open House Chicago 2014 list, and I highly recommend seeing this Chicago treasure in person.